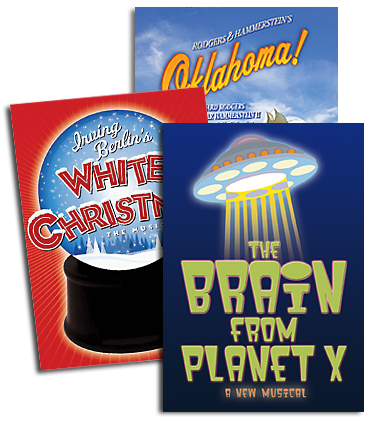 Show Business introduces you to the members of our R&H Theatricals Staff with a Q&A. In this issue, get to know Amateur Licensing Representative Christina Haritopolous. Favorite thing about working at R&H: It is very easy to learn new and interesting things about the theatre world, things I would have never known without working for this company. What you’re currently reading/book to recommend: Just finished reading Angels and Demons by Dan Brown. Three things all customers should know (about you or R&H): 1. Yes! At long last, we can now offer you the version of JOSEPH…DREAMCOAT that has The Megamix! 2. We will do everything in our power to make sure that your questions are answered and your concerns are addressed. 3. My brain shuts down around 4:58!! Complete this sentence: “A day at R&H isn’t complete without…” [Customer rep] Tim Matson singing.